The Arduino plugin for Visual Studio automatically creates a Visual Studio macro for every Arduino command. 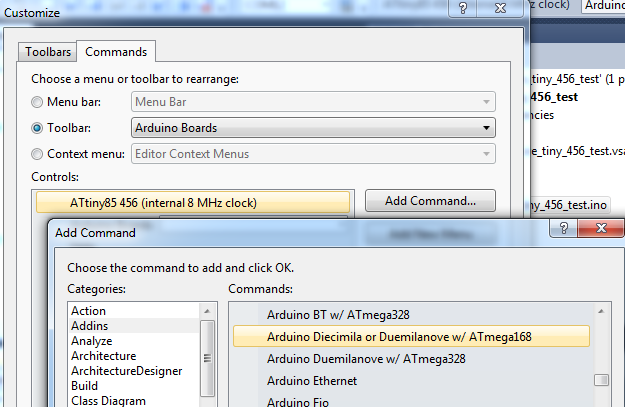 This enables us to add Arduino commands to menus and tool bars. It also allows us to assign shortbut keys to all of the Arduino commands. The following image shows a button that, when clicked, quickly selects a specific Arduino board. In this case a custom board is being selected hence the strange name.